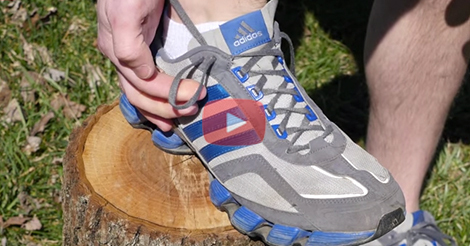 Are you tired of getting blisters on your heels when you go running, walking or hiking? Illumiseen provides a helpful tip for runners to prevent these blisters with a “heel lock” or “lace lock” that creates extra friction between the laces at your ankle. A lot of running and hiking shoes have an extra shoelace hole at the top. You’ll have to create loops on both sides of your shoe then cross the laces and insert them into the loop on the other side. Watch the demonstration in the video below. By Simply Wrapping Some Yarn Around Her Fingers She Makes This! WOW.